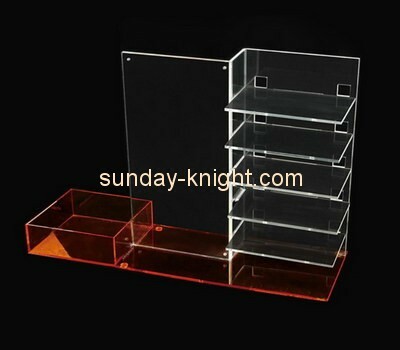 How to choose materials when customizing acrylic display stand? 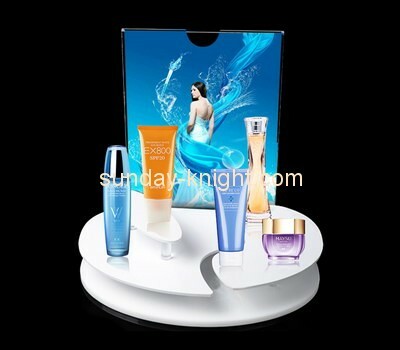 Acrylic display stand has become the most ideal display props in the display props on the market because of its good light transmission and weather resistance. The visual effect of the products displayed by it is gorgeous and gorgeous. As a custom side, how do you want to customize the acrylic display stand? How to customize the material of the acrylic display stand to ensure the quality of the later use? In my opinion, the following principles should be followed when selecting a custom acrylic display stand. 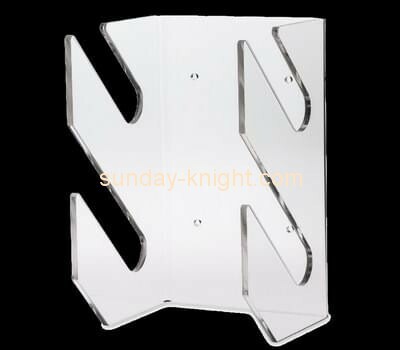 Because only you choose the right one to ensure the use of the back acrylic display stand. In today's market, the materials used to make display stands mainly include plexiglass panels, environmentally friendly wood panels, special fireproof panels and crystal plates. Compare them with you and you will find that the most used in these materials is acrylic (plexiglass) and environmentally friendly wood. This situation is mainly due to the high quality of the plate itself, especially the jewelry, cosmetics, high-end clothing, The display applications of computers, mobile phones and other products are the most extensive. 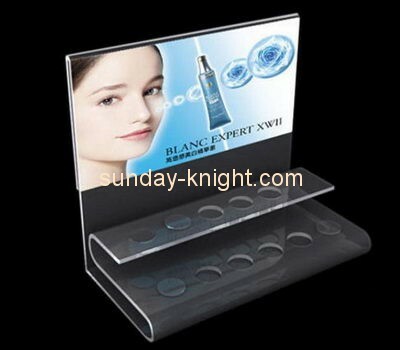 Under normal circumstances, if the acrylic display stand is placed against the wall, the display back plate should choose the opaque plate, and in most cases, choose the same color white or mirrored as the acrylic display stand. The top of the shelf can be equipped with a light box. The inner light inside the shelf can be selected from fluorescent lamps and spotlights. The height, width and length of the top light box can be adjusted according to the size of the site. If it is the direction of the acrylic display stand, it is generally four-sided light transmission, this display stand is suitable for jewelry, mobile phones, watches and other high-end small items. The standardized use of today's display stands allows the acrylic display stand to be modified for a variety of purposes, that is, the adhesive material is generally used differently, and the acrylic display stand can be easily disassembled with a single screwdriver. Choosing color is the color you can choose. Now you can make a variety of products made with acrylic. 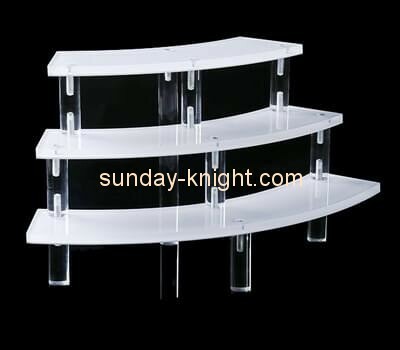 For example, acrylic jewelry display stand, acrylic clothing display stand, acrylic mobile phone display stand, etc., they are mostly made of gold, silver white, matte black and so on, there is a point that many companies will choose the corresponding color according to the vi of their products. 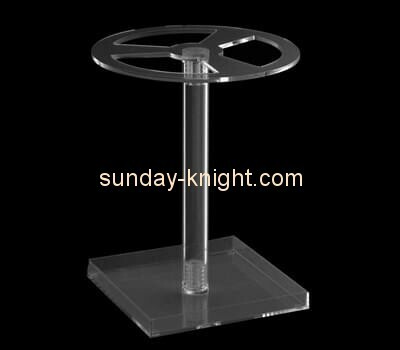 Acrylic display stands have been sold in stores and in our daily lives because of their light weight, low cost and easy molding. The main reason for the business is that the acrylic display stand customization can be customized according to the characteristics of its own products. This method has become the most popular way for merchants. 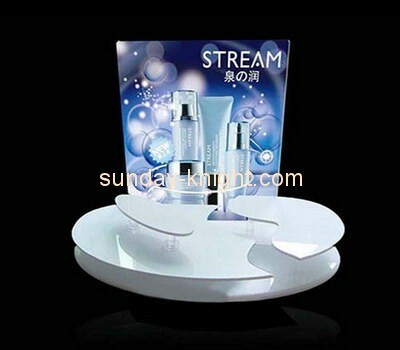 Therefore, when selecting the acrylic display stand, these materials are expected to show the customized acrylic. The merchants of the racks help and choose good materials. 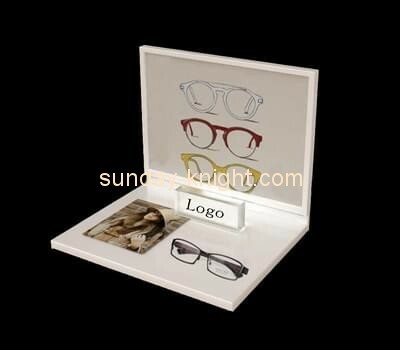 Previous：These processes are very important when customizing plexiglass display stands Next：What should I do when the finished acrylic display frame is scratched?